Pfäffikon, 16 October. 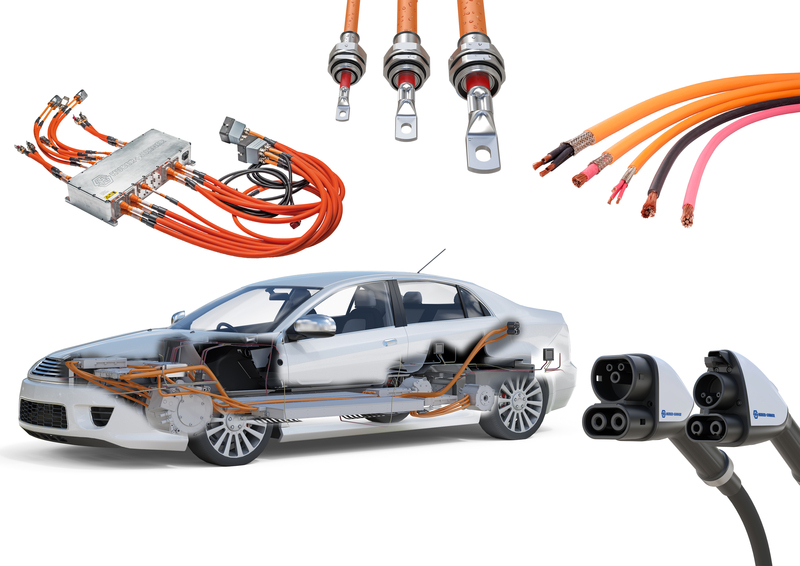 HUBER+SUHNER, leading manufacturer of components and systems for optical and electrical connectivity, will demonstrate its solutions which tackle electric vehicle requirements in the most harsh and demanding environments at IZB 2018, in Wolfsburg, October 16-18. With charging times for electric vehicles a major talking point for industries and governments alike, a key highlight at the booth will be the state-of-the-art RADOX® High Power Charging (HPC) system. The technology allows the increase of the power-throughput of a charging cable to 500 kW and grants fast and effective charging – with charge times of less than 15 minutes (80% State of Charge). At the same time, it offers a smaller cable cross section compared to the traditional high-powered cable option due to its slim, flexible, lightweight, easy-to-handle benefits. “There is no doubt in anyone’s mind that electric vehicles are better for the environment, but previous long charging times and a lack of infrastructure deterred potential drivers from making the switch. With the HPC, delays are no longer an issue and charging can happen in minutes,” said Max Göldi, market manager HPC at HUBER+SUHNER. The Swiss-based company will also be showcasing its extensive RADOX® cable portfolio that guarantees safe and durable connections in demanding environments. Aligned to meet current automotive trends relating to saving space and weight, the portfolio also offers high temperature performance in harsh automotive environments, and the compact design of the wide spectrum of cables means that they have excellent resistance to aggressive fluids, heat and abrasion. Other solutions on display include the RADOX® anticapillary cable. Inside the conductor of the cable, a grease-like filling material prevents the capillary effect in the core, stopping liquids in the vehicle, such as oil, water or AdBlue, from being conveyed through the cable and damaging the electronics and sensors at the other end. HUBER+SUHNER will also exhibit its high voltage distribution unit (HVDU) and the 2nd generation RADOX® automotive connection system (RACS). The HVDU is fully customisable and assures power distribution between all high voltage components within every electric vehicle, land, water or air – even in demanding and harsh environments such as snow ploughs, street sweepers and trucks. By combining the HVDU with the innovative RACS wire-to-device connection system, users can benefit from considerably smaller space requirements, with 360° electromagnetic shielding and excellent protection from the environment. Visitors can find HUBER+SUHNER at Hall 1, Stand 1402, 16-18 October at IZB 2018, Wolfsburg, Germany.